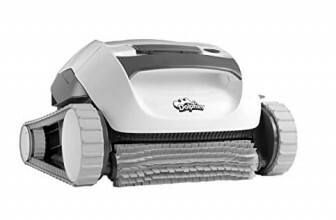 The Polaris P955 4 Wheel Drive Robotic Pool Cleaner is a sleek and stylish state-of-the-art advanced pool cleaner which provides optimal cleaning in a quick and efficient way. Suitable for pools upto 60 ft., the Polaris 955 features Aqua Trax tires for all pool surfaces and a 4-wheel drive system for added efficiency and thorough cleaning. 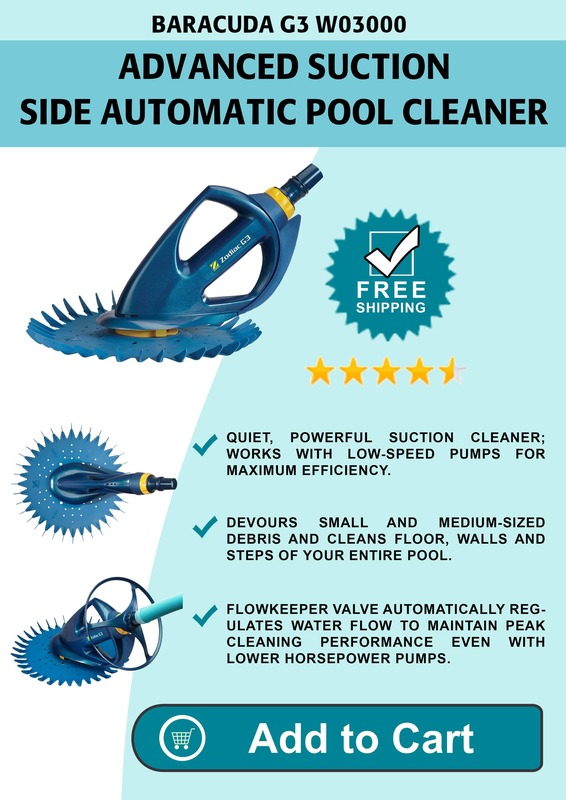 It is a high-end pool cleaner designed to clean your pool in a faster, easier and better way than before. With its stand-alone control panel, the pool owner can decide how the device behaves in a pool. Motion Sensing Remote – The Polaris P955 will behave the way you want it to with a simple remote based operation. It comes with a motion sensing remote for the user to control the operation from their hands. Vortex Vacuum Technology –The Polaris P955 employs upto 25% more vacuum power and 4 times more debris capacity due to its signature Vortex Vacuum Technology. Easy Clean Filter – For added convenience and ease of use, the Polaris P955 features an easy clean filter which can be emptied with a simple shake of a hand by the user. 7 Day Timer – The Polaris P955 has a pre-customizable 7-day programmable timer which can be used to set the cleaning and filtering modes easily without having to set them every single time. 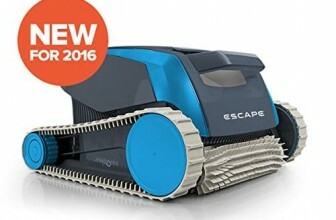 4 Wheel Drive Technology–The Polaris P955 has a unique 4 wheel drive technology which cleans pool floor, sidewalls, tile line and other corners with a pleated scrubbing brush for thorough cleaning. 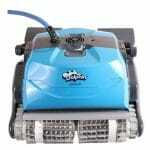 The Polaris P955 cleans the pool floor, walls, steps and waterline as its total cleaning area capabilities. 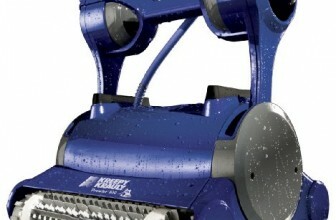 The Polaris P955 4 Wheel Drive uses Vortex Vacuum Technology for best-in-class pool cleaning performance. It offers a smart and customizable 7-day programmable timer that allows the pool owners to set it automatically. 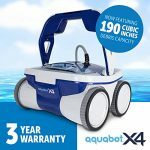 As a robotic pool cleaner with advanced features like Vortex Vacuum Technology, 4-Wheel Drive System and ActivMotion Sensor, the Polaris P955 is a beast of a machine and an effective Robot pool cleaner for residential use. It comes with a caddy and two-year warranty to offer peace of mind to the pool owner. 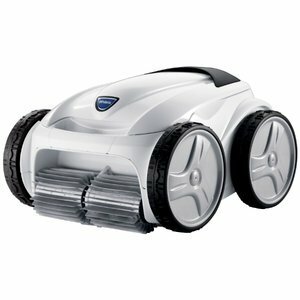 The Polaris P955 employs motion sensing remote and a customization 7-day programmable timer that lets the user at ease and allows maximized comfort and relaxation while thoroughly cleaning the pool, walls, steps and waterline. Though the cable is not tangle free, it is long enough for reaching corners of the pool with ease.